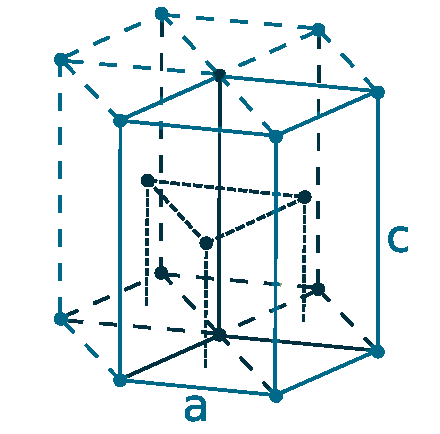 The metal is relatively stable n dry air, but an oxide film forms in moist air. Godolinium reacts slowly with water and is dissolves in dilute acid. It is excellent in absorbing neutrons, so It is used in the core of nuclear reactors. 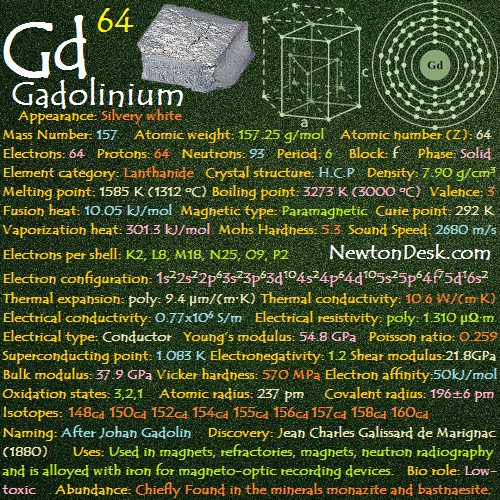 Gadolinium is used to make garnets for used in microwave applications and Its compounds are used as phosphors in color television sets. 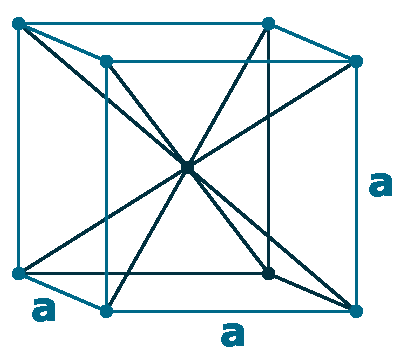 Gadolinium ethyl sulfate has extremely low noise characteristics and It may use in duplicating the performance of amplifiers, such as the maser (A device using the stimulated emission of radiation by excited atoms to amplify). The metal has unusual superconductive properties. In alloys, As little as 1% gadolinium is use to improve the workability of iron and chromium alloys, and their resistance to high temperatures and oxidation. It’s alloys are used for making magnets, electronic components (recording heads for video recorders) and data storage disks. Its compounds are useful in MRI (Magnetic Resonance Imaging), for diagnosing cancerous tumours. Gadolinium is chiefly Found in the minerals monazite and bastnaesite. It can be commercially extracted by ion exchange and solvent extraction. 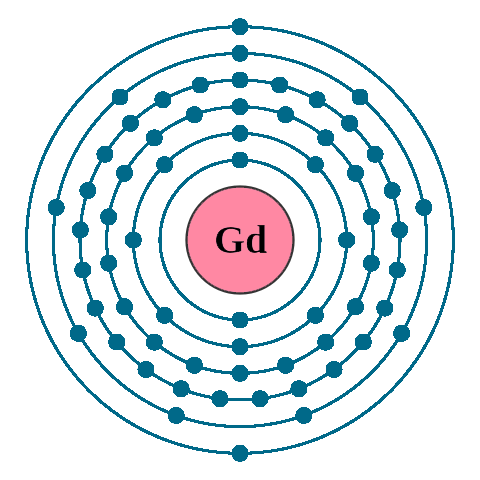 Gadolinium metal is also produced by reducing the anhydrous fluoride with calcium metal.